Air ducts and vents are prone to acquiring dust, germs and bacteria if they’re not thoroughly cleaned. Attempting to clean your vents and ducts yourself can exacerbate the issue, further polluting your home with harmful contaminants. An effective solution to killing harmful bacteria and germs is using the power of UV light. Ultraviolet technology has been used in water purifying treatment applications for its ability to eliminate bacteria and germs. UV treatments can also be used on air ventilation systems to achieve the same effect. UV lamps are great for use in residential, industrial and commercial buildings. Mold and its spores love to grow in dark, damp places, and your ventilation system is one of its favorite spots to grow. UV technology utilizes germicidal UV lamps to disinfect vents through low-pressure mercury vapor tubes which are inserted into your ducts to emit UV light at a wavelength that is deadly to microorganisms like mold. The lamps treat both the air and surfaces where bacteria and organisms reside. Lamps are installed by boring a hole in the duct wall and inserting brackets that the lamps attach to. The lamps work best when your system is on and filtering air past it, ensuring bacteria in the air is eradicated as it passes. UV room sanitizers are an alternative to UV lamps. Sanitizers can be fitted to ceilings or walls with options for portable and mobile use. UV sanitizers work by drawing air into the device through a washable electrostatic particulate filter where it is exposed to germicidal UV light. Purified air is then dispersed out of the exposure chamber through a louvered exhaust panel. Our technicians are on call 24/7 to ensure you receive quality, affordable repairs, installations and servicing. Contact us today to schedule service or an installation estimate! Is the air in your home safe to breathe? 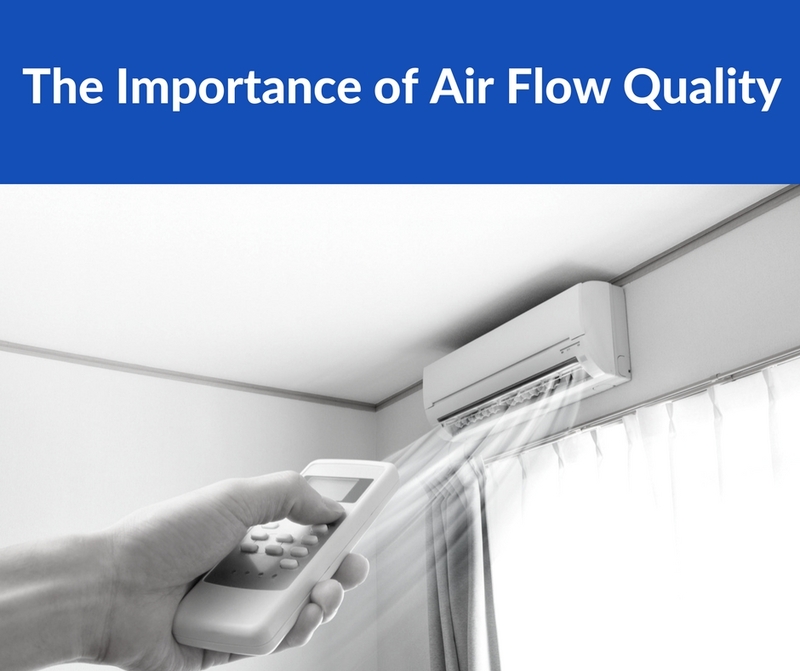 Most people fail to realize just how important their house’s indoor air quality (IAQ) is to their overall wellness. Indoor air pollutants and allergens can cause a number of health problems, especially for residents with asthma or allergies. Here are a few ways to help you breathe easier and keep your loved ones healthy. Mold and mildew are both common asthma triggers and allergenic compounds. Some varieties can be particularly damaging to even a healthy person’s lungs. Mold commonly grows in damp environments such as your kitchen, bathroom or inside the walls. The spores that are released help the fungus grow and spread throughout the home. The easiest way to reduce and remove mold or mildew is to keep your house dry. Invest in a dehumidifier to keep humidity down in problematic areas and don’t let condensation sit for too long. Rats, cockroaches and other rodents and insects are more than just unwanted pests; the waste they leave behind can cause health problems long after they’re gone. Roaches naturally carry a protein that is a common allergen as well as an asthmatic trigger. This can be especially problematic for indoor air quality if these pests get in your air ducts, as the contaminated air will then circulate throughout your home. Dust mites that live on carpet and furniture leave behind droppings and microscopic shell pieces that are similarly allergenic. Vacuum and dust regularly to keep insect debris to a minimum. If you suspect pests have been in your ducts it’s also a good idea to have them professionally cleaned and sealed to prevent future incursions. Not all air pollutants are as easy to detect and handle. Carbon monoxide (CO) gas is often referred to as a “silent killer” due to the fact that it can so easily go undetected. Symptoms of exposure can vary depending on a person’s age, the levels of CO and the length of exposure. Extended periods of exposure to even low CO levels can lead to flu-like symptoms, while high levels can result in death. Carbon monoxide sensors are inexpensive pieces of equipment that you can likely find at your local hardware store. Similar to smoke detectors, the sensors will activate a siren when dangerous CO levels are detected. The air in your home is filtered through your heating, ventilation and air conditioning (HVAC) systems. AC systems, in particular, contain powerful filters designed to remove pollutants from the air before it is spread throughout your home. It’s important to regularly maintain your HVAC system, replacing AC filters at least once every other month. Families with members who are allergic or asthmatic might consider replacing their AC filters on a monthly basis. Kay Heating & Air Conditioning is committed to meeting the needs of our North Carolina HVAC customers. The safety of your family is a high priority for our company, which is why we’re committed to educating our clients on the importance of indoor air quality and how to improve it. We’re proud to offer heating and air conditioning repair, as well as installation services. Contact us today to schedule an appointment! https://kayheating.com/wp-content/uploads/2017/09/blog_air-quality.jpg 483 724 dhamlett73 https://kayheating.com/wp-content/uploads/2017/06/kay_logo.png dhamlett732017-09-25 21:17:152018-06-19 18:25:51Is the Air in Your Home Safe to Breathe?